Siberian Huskies have not been implicated in many fatal dog attacks on humans relative to other breeds known to kill people. 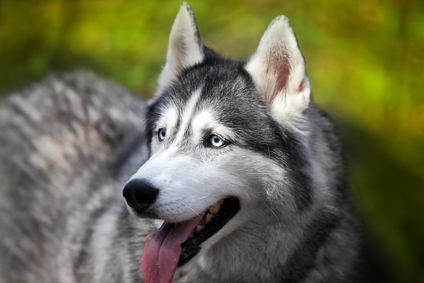 Since 2006 in the United States approximately 6 people have been killed by “husky” type dogs. This compares with well over 100 fatalities inflicted by a pit bulls and Rottweilers combined. Two recent instances in which Siberian Huskies inflicted a fatal dog bite attack to a human happened in Minnesota and Alberta, Canada. The first fatal dog attack happened in Independence, Minnesota in February, 2010. According to news reports, the Husky attacked a newborn who was strapped in a car seat on the top of a bed. Apparently, the dog must have jumped on the bed in order to reach the infant. No previous reports of aggressive behavior in this husky were noted in the investigation completed by animal control. The extent of the injuries inflicted to the infant are not known; however, it is unlikely that the attack was a vicious mauling, like the kind that so often happens when pit bull type dogs are involved. In the second incident, a female Husky fatally attacked a two day old infant in April, 2012 in Alberta, Canada. The incident happened after the dog escaped from its kennel where it was intentionally placed – apparently to keep the dog separated from the infant. The parents were aware of their potential danger their dog presented to their newborn. Somehow the dog managed to escape from the kennel, it found the baby upstairs and then delivered a single bite to the head of the infant. The bite was not that severe, and probably would not have killed an older child. Nevertheless, the parent’s worst nightmares came true. When the incident happened the infant was crying, and this may have been the trigger to this fatal dog attack. Huskies are not “infant snatchers” and they do not possess a “high prey drive” relative to other breeds. This inaccurate information about the behavior of this breed has been noted on other websites dealing with dog bites. 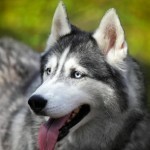 Huskies are a working dog, and currently many Husky breeders still breed for this purpose. However, more so than many other breeds, Huskies have the potential to become dangerous if they are obtained from poor breeding stock (i.e. backyard breeders), and if they are not properly socialized to children, including very young infants. In this regard, the parents of the infant killed in Alberta, apparently did everything right by keeping the dog separated from the newborn. However, the kennel from which the dog escaped was probably defective in some manner. Animal Behavior Counseling Services, Inc. located in Los Angeles, CA. 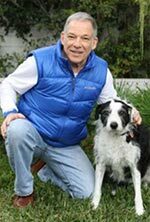 was founded in 1983 by animal behaviorist Richard H. Polsky. ABCS provides behavior counseling for pet owners and expert services for attorneys. Animal Behavior Counseling Services, Inc.